We all know I enjoy Pamela's gluten-free baking mixes. When she came out with her Sugar Cookie Roll & Cut Mix a couple of years ago, I was SO EXCITED!! 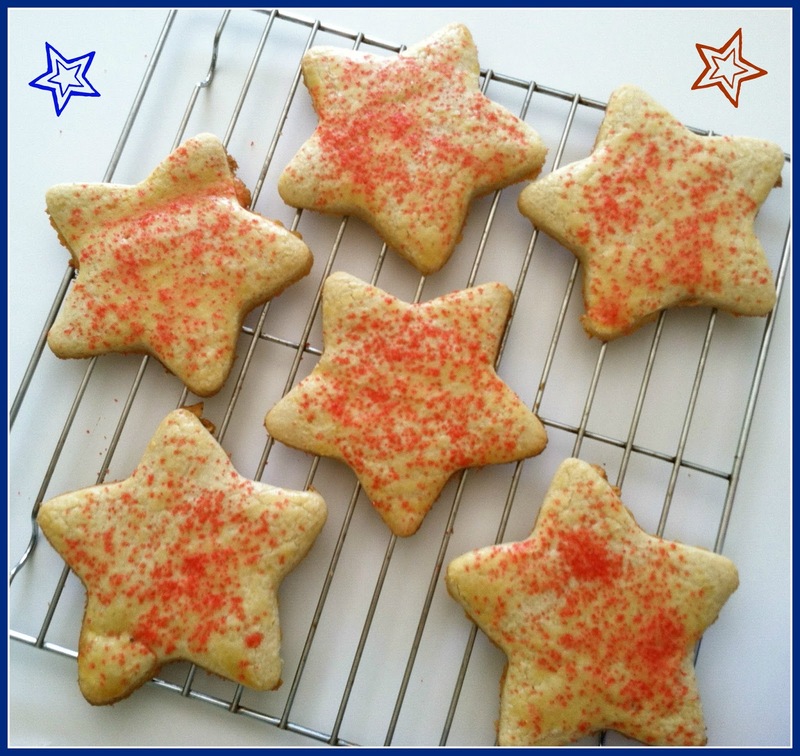 I have made TONS of different gluten-free sugar cookies using her mix and they turn out fabulous every time. Let's CELEBRATE! I made these delicious gluten-free Star-Spangled Banner Sugar Cookies and they turned out FABULOUS! What a FUN, KID-FRIENDLY treat to share with EVERYONE. 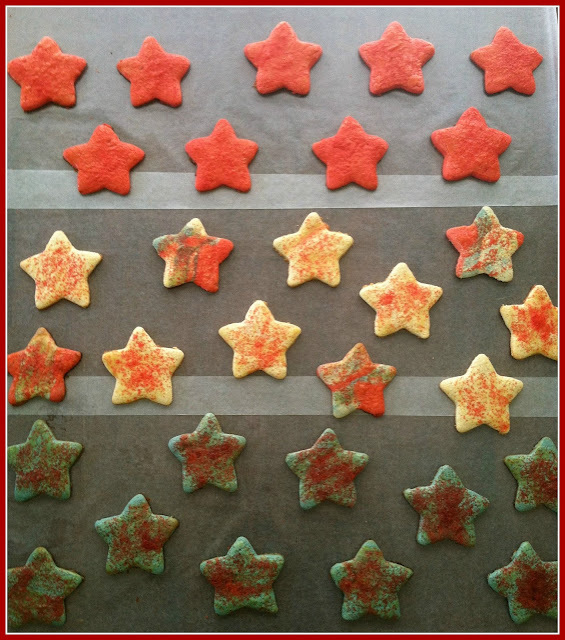 The Star-Spangled Banner Cookies were very easy to make. 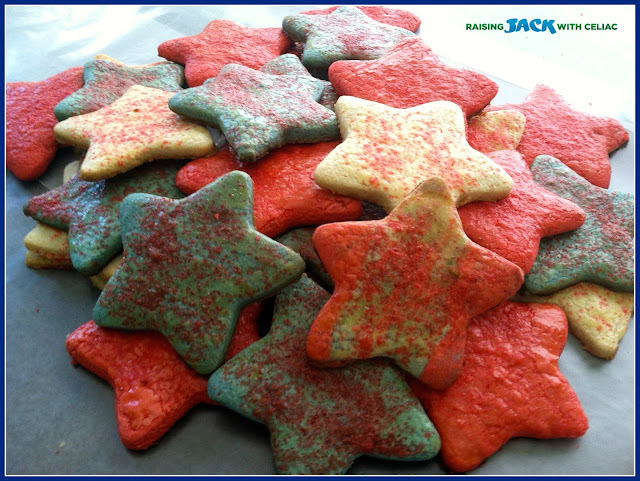 I used two bags of Pamela's Sugar Cookie Mix, divided into 3 parts to add food coloring for the red and blue stars. I simply rolled the cookie dough, used my star cutter and baked! Just follow the directions on the back of the cookie mix package and you will have some fabulous sugar cookies as well!